Today is my happy day! I am happy cos after 2 weeks of 'loneliness' spent, finally my kakis (friends) Jimmy and Zeon is back from their leave in Singapore. 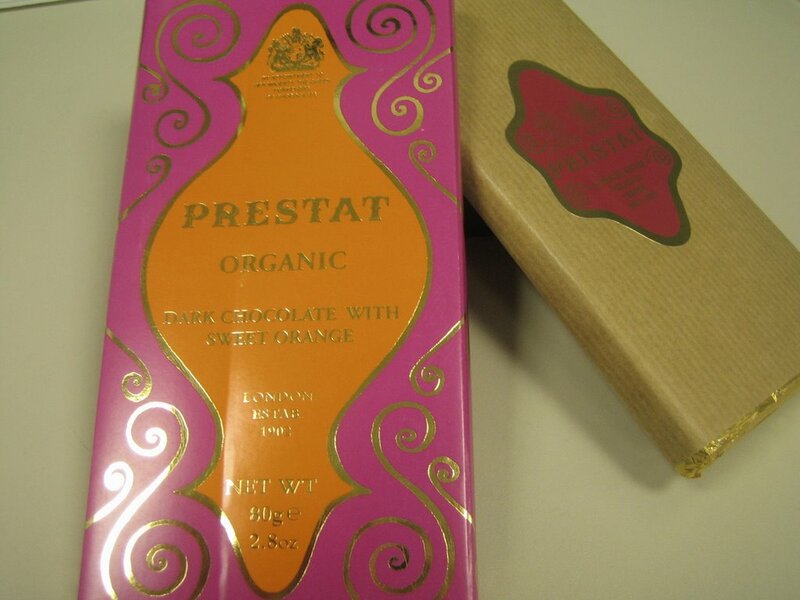 Also, they brought me the things that I had asked them to buy; especially a new brand PRESTAT chocolate which I saw it from magazine, and wanted to try it so much. So now I have Organic Dark Chocolate with Sweet Orange and 99% Dark Chocolate Bar with me, hee hee. This time I am ready to put on weight……I think it is worth it! I am also happy cos my best friend, Jennifer has arrived too. Guess she must be still sleepy a lot at my apt right now…….zzzzzz…after such long hour’s flight. The first thing she said to me when saw me last night was “I am so tire”. I am super happy cos with all of them around, it’s time to begin our outing plan in Rio. And in another 2 weeks time, I will be traveling with Jennifer. 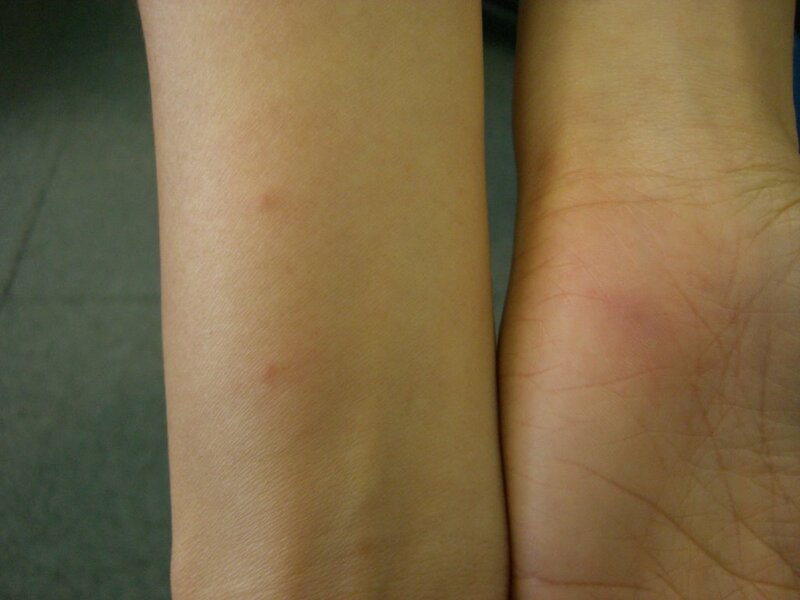 I was talking to my colleagues here about how 'painful' I am cause I feels my whole body is so itchy now with so many mosquito bites for the past few nights. My legs, my hands and my back. Oh my god!!!! Why does the mosquito love me so much and keep pestering and torture me. What have I done to deserve all these and make my life so restless (well, I can't sleep well at night). CK and I left office very late due to the meeting he was attending, so we decided to go for Pizza Rodízio (buffet) for dinner at Catete. And of course I feel very full after the meal, even after the next morning (now). Haiz, ate too many pieces of Pizza……. although I did enjoy the food. Right now I feel so sleepy cos I did not have a good sleep after the heavy meal, guess this is one of the reasons that we should not have any meal four hours before we go to bed. But I feel excited too cos my friend should be on her way from Singapore to Rio for tour. I am expecting her arrival, hee hee. End year is coming and so are most of the companies annual dinner. It is nice to have a gathering for the management and all employees over the meal. And our consortium partner, Technip Engenharia has their dinner too in Brazil. One of their program which I found it very creative and I like it very much is they provide every employee one T-shirt in advance, and everyone can base on their own creativity to re-design their uniquely T-shirt. And I remembered last year, a lot of employees participate this invitation, they really put in their effort on their imagination, and I saw a lot of different designs from the original T-shirt. Hmmm, I am going to take photos on them this year!! It has been quite a busy weekend for me as I need to prepare for the next coming Wed.
Had a little spring cleaning in my apartment. Went to supermarket Sendas to stock up a bit this and that cos basically my apt is almost empty except for some instant noodle. But at the end I didnt really buy a lot of food, still though of getting Chocolate Haagen-dazs Ice-cream but only Strawberry favor is available. As iI needed to shift back my personal effect back to Singapore, I had started to pack them into the carton as I believe I will have no much time to pack for the next weekends. So now I am looking forward for Wed to arrive, hee hee. P.s, could you believe that I got at least 3 mosquito bites while writing this in my living room....my god! Grey Weather Still But Great Feeling Now! Well, food and dessert are still the best cure for people like me when feeling down. I had my lunch with Edward at Rua da Assembleia at Delírio Tropical Restaurant, a concept of choosing your own salad and main course (rice / pie / fish etc). I love this concept cos they have many variety of salad to choose from. Then had a ice-cream cone when back to the office. The sky seems look so grey now but I feel much better now. After all, tomorrow is Sexta-feira (Friday) and I am very much looking forward to next Wednesday, I should tell you why………on next wed. Hee hee. The weather looks so grey this morning and made me feel so tire and sleepy (I guess I did not sleep well last nite). Worst, when I thought today is Friday, sigh…….. hoping the lunch time can make me feel better. Life is short…so appreciate your happiness now! I just read one new from Singapore that recently there is another case of a young man that died in the sleep which makes up to 4 cases within a month. Indeed life is short, so short that sometime it seems like a dream. See, if we can’t breathe in or out the next moment, that’s it for our life. And since nobody knows what will happen next, that is why we should learn to appreciate every present moment, to appreciate our own happiness. No matter what had happened, I find myself lucky to have my family to support me always and to have so many friends to brighten up my life. After reading this news, I thank God for giving me a minute more to cherish my present. Helen Keller once said, "Happiness cannot come from without. It must come from within. It is not what we see and touch or that which others do for us which makes us happy; it is that which we think and feel and do, first for the other fellow and then for ourselves." Today is my nephew’s 12th birthday. HAPPY BIRTHDAY TO YOU, Tanner! I still remembered that precious moment when he always woke me up early in the Sunday morning to bring him to have breakfast, sometime with my mum too. Time really flies! He is a teenager now and I am a bit old too, hee hee. After all, it is still good to stay together with family, so many memories to think now. I guess, the more memories we have, the older we are. Ha ha ha ha. Another holiday today but only in the state of Rio. The weather is great too! But as usual, I am too lazy to go out alone. A few people been mentioning this to me. 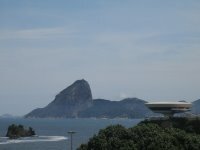 I should stay another two years in Brazil to earn a little more for my future house while I am still young (after all this is one of the reason why I am here). This sounds good but I could prefer to have a time frame for each matter. In the perfect world, you and your love one stays together in a perfect comfortable house in your loving country. Life is perfect without much to worry and stress to handle. You are a happy person because this is what your dream is. But in the reality world, you need to work hard to fulfill your dream and happiness, which might not only involve your feeling but secure too. You want to provide a nice place to stay, a satisfy asset for your living and most importantly, a good quality in life. Slowly you began to spend more time and effort at work to achieve your dream. Then realized you need more than that, to challenge your work to prove your own capability, to invest more than you should be doing at the first place to make your dream come true even faster. So you think, why not I go for overseas assignment for just 2 years to earn more and at the same time, to expose more experiences in life. Since you are young and happiness seem willingly to wait for you, there you go far away from your family. You began to gain a lot from overseas and (perhaps) slowly forget of what you have lost in your country. Time flies, so maybe your 2 years become 4 years or 6 years. Everything seems fine cos your happiness is still up there waiting for you. But aren’t you forgetting something, money is important in life but money can’t buy the precious moment for you and your family. And can happiness really wait for you for that long or forever? I remembered my father had to spend most of his time at work to earn just enough to raise us when he was alive. So I hardly have any impression with him since young but I always hope that he can spend more time with me. Well, this dream can never fulfill now, so I tell myself that I will want to appreciate each moment with my family in future. That’s why I always give myself a time frame for each assignment and when time’s out, I will want to go back to my own country and family and friends, to have precious moment with them. Brazil is one of the world that product coffee beans but yet they do not have any Ice Blended Coffee (at least I never encounter before). Now, I really miss Ice Blended Ultimate Mocha and the award-winning Chicago Cheesecake from Coffee Bean. I hate myself when I am lost because it proved how helpless I am (no one like to feel helpless right?). So I always tell myself to know what I want to do in life, for both my physically and spiritually. I may not doing the best but I will want to do my best (with some laziness that I am not suppose to have, I know this is my bad point :p). But when my objective seems so clear and bright, some suggestions given made me like an idiot again. I know that I must save whatever I can now, in order to buy a nice and comfortable house when I reach age 35 (for those who are unfamiliar with Singapore regulation, being single I need to reach 35 before I can buy my own flat from Singapore Government). Then some suggested I should invest on Public Property which needs to pay at least double of what I can get from the government. Sound great but there is a lot more to think on my own capability, as I am not paying only for the installment. Perhaps this is too big a project for me to invest. At work, what do I want to do when go back to Singapore? Since I am from Supply Chain Management background, it will be good to learn more things in various areas. I have so much to explore other than buying, and frankly speaking, I can’t give an answer where I should go or what I should be doing right now. Then question asked “If you want to continue your study, you should know what you want to do then?” To complete a degree course is my dream and I took quite a while to fulfill this dream (if I could ever complete it), so I never think of what to do after the course. Then question asked “If you want to establish your career in SCM, this company might not suit you.” Then what, do I need to quit and get a job which can suit 100% of SCM? I always believe each job assignment has something for me to learn and understand; it’s just whether I like it or to continue or not. So before I know what happen, shouldn’t I be giving myself a chance to find out more before I decide and know Where Do I Stand? It is always good to have clear vision on our objectives in life. But when we are in the cross zone during the journey, I believe ones need some time to realize where they are standing and how they should continue their path. I guess I am in the cross zone now…….. not totally lost but need some time to figure out a better road to carry on. The final abolition of slavery is usually regarded as the most immediate cause for the fall of the monarchy. With the Emperor away in Europe, his daughter, Princess Isabel, acted as Regent. On May 13, 1888, responding to the collapse of slavery as a workable system and yielding to pressures from the abolitionists, she signed the so-called "Golden Law" (Lei Áurea) which abolished slavery in Brazil. The abolition of slavery was in reality the outcome of a long-standing British policy of putting pressure on the Brazilian government to end the slave trade. The fight against the trade intended to assist the expansion of production in British colonies (e.g. surgar), thereby favouring the growth of British industrial capitalism. It must be noted that by the end of the l9th century, slavery in Brazil was declining under pressure from immigrant labourers whose wages cost less than the upkeep of slaves. Nevertheless, the "Golden Law" set off a reaction among slave owners which rapidly eroded the political foundations of the monarchy. After a few months of parliamentary crises, the Emperor was deposed on November 15, 1889, by a military movement that proclaimed the abrogation of the monarchy and the establishment of the Republic. This institutional transformation, albeit profound, was carried out without bloodshed. Although treated with all possible respect, the Emperor and his family had to be asked to leave the country. Accompanied by some close associates, they went into exile in France. Most of the leading figures of the country lent their support and collaboration to the new regime; among them was one of Brazil's most outstanding statesmen, the Baron of Rio Branco. It was his wisdom and skillful diplomacy that enabled Brazil to end, by treaty or arbitration, nearly all its outstanding frontier disputes. Yesterday I received a photo of my friend’s new born baby, together with her husband and their elder girl. A photo of LOVE, I can feel it! LOVE - a wonderful thing in the world. We are always surrounded by different kinds of love, it is so close to us that sometime we neglect it, we forget about it or even we begin to hate it. Only when we lost it forever or far away from our love, then we realized our LOVE in our heart. 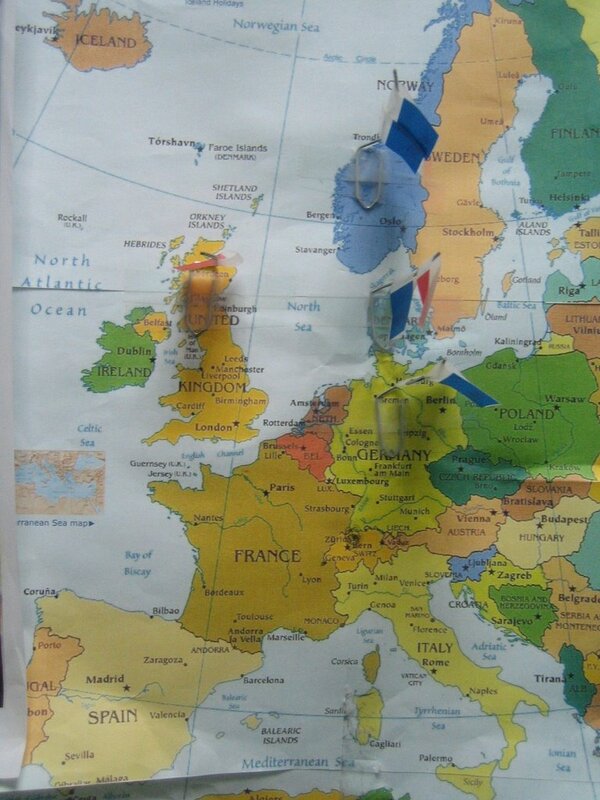 That’s how I began to realize myself when I am so far away from my home, my country (See my Homesick=Love). Then I began to learn to fall in love everyday. I do miss my love from home but I am having new love from this beautiful country. With their friendliness, helpfulness and fun-loving, I feel myself getting more and more beautiful each day. Why not? I feel myself more cheerful and younger with the passion here and I love it. Well, sometimes I do feel a bit bore but when I breathe in the air of LOVE, I will start to smile again. Of course, it is not easy to build up and maintain each LOVE. It takes everyone to do their part, to go through the difficulties in life that full of ups and downs, rich and poor. To live in the world that tragedy still happens each day, hungry still not yet vanish at foreign country and with the terrorism threat around us. Yet only with all these, we learn to feel what LOVE is, to see how beautiful LOVE can be, to know that how strong we are with LOVE in our heart. So, isn’t it great for each of us to stop a second and feel the LOVE in our own heart, around us and to spread our love? I believe everyone have the 8th Wonder of the World in our heart – LOVE. Allright, I am going crazy again. I am having restless night yesterday cause the mosquito is here to attack me. I woke up almost once every hour to apply the cream and now I am dead-tire (but still have to work). I really have no idea why it can still appear at my room with the electric repellent and air-con on at this cold weather. No kidding, I thought mosquito will only appear during the hot weather. Now I miss home more because I don't get this mosquito attack there. Maybe what I need is a mosquito net. Ha ha ha. This favourite song of mine is once again back with Jolin version, but I still prefer Sandy, original singer version. Just to share with my friend, I love the song lyrics which I believe a lot of people have this feeling before. Today we set off at 8.30am and drive to Barra to the Legep Mineracao Ltda, where they sell all kind of stones and crystals. This is not my first time there, but still got myself two brackets and two stones. 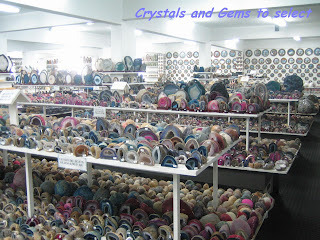 We reach there almost 10am and spend three hours there to choose from the thousands of stones. Took some photos (luckily they allow us to take photos) while waiting for Edward to choose 10 stones for his house display. After that, we went for our lunch at nearby restaurant. Since my stomach has been begging me for some food earlier on so I eat a lot of spaghetti, so it is going to be my lunch and dinner for today. Saw this interesting concept from my colleague's desk, she said it's to indicate where the vendors (those she is expediting) are. Hmmm, I like it and I wish I could do so. Not for work but for my travel dreams. When I have my own living space in future, I will buy a big map of the world and paste on the wall, indicating where I had been and where I wish to travel. Good idea, right? At least I will love this deco at my own room. It has been raining since morning and normally I will be too lazy to go out for lunch, but not today. 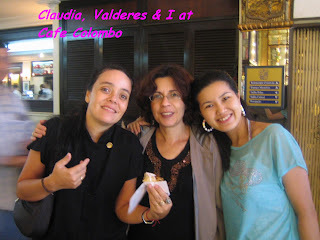 Because tomorrow will be my beloved colleague, Valderes's Birthday and we promised to go out lunch for a little gathering with Claudia. We went to Crystal Restaurant at Rua da Assembleia for lunch, then headed to my beloved cafe - Cafe Colombo for a quick dessert. 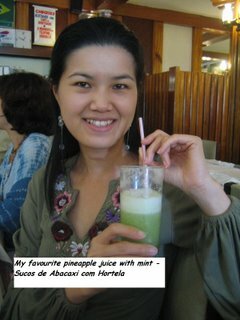 Hmmm, I simply love the dessert in Brazil which I believe I will miss it very much when I go back to Singapore. Plus the coffee too, got to buy more for my trip home. Okay, I need to add in one thing that amazed me at the restaurant. 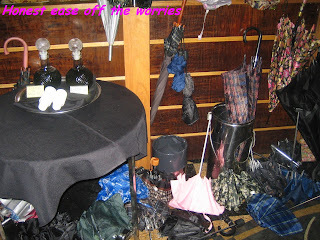 I saw almost everyone leave their umbrellas at one corner once entered, then happily went for their food without any worries that it will go missing. I can feel the trust they have for one another, I mean they simply don't have the greed to take thing that don't belove to them. Good!!! I can't recall whether we have this scenario back home. Then I went to get my vaccination against Yellow Fever, of course not alone but with the wonderful help of Claudia. I am so lucky to have her during my stay here. She has been helping me a lot and she treats me like little sister, taking good care of me. Thank you, my dear. Talking about the vaccination, I am quite surprise to find that it is free-of-charge. Again, I wonder do we have this kind of service from Singapore Government????? Anyway, I have to get this jet done cos I am going to Peru + Chile for vacation with my best friend, Jennifer. Horray, both of us are looking forward to Dec for our great holiday. 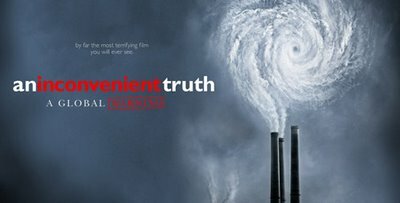 An Inconvenient Truth – A Global Warning. 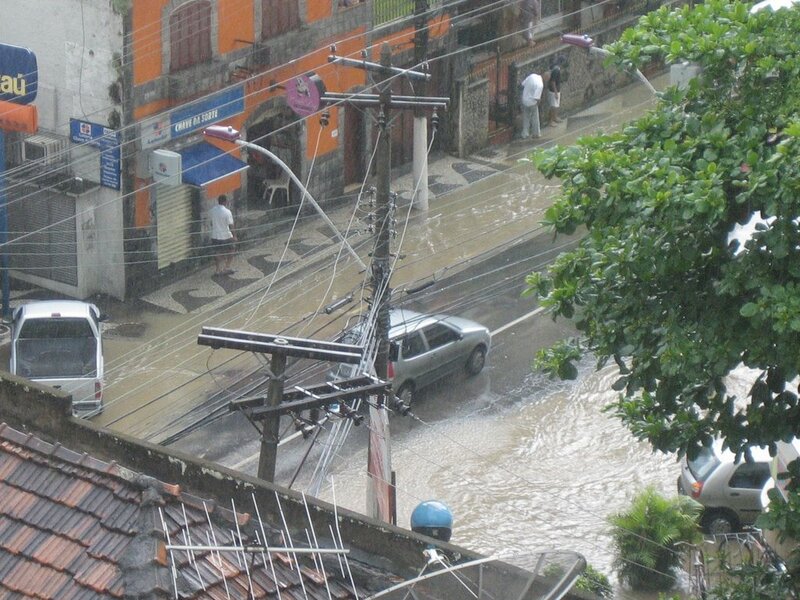 Recently there is a movie “An Inconvenient Truth”, the Al Gore film about global warning on screen in Singapore but of course I am going to watch this in Rio, which is call “Uma Verdade Inconveniente”. This movie shows us how much each of us are contributing to global warning and what we can do about it. I always feel ashamed of myself as I know that we are in ‘dangerous’ (other than those terrorist attack) and yet I do so little to save the earth. This movie bring us our awareness, once again to remind us that there are so much more we all can commit to help the only earth. So now it is the time to do something for the next generation to have a better home. "We are not raising money; We are raising awareness & commitment!" Each time when I feel upset, bore or nervous with things happening around me, I will love to read this article and remind myself to be more mature and appreciate it. I know I am still not doing well enough, having too much of quick-temper and act foolish sometime. And this article is great motivation to brighten up my life, which I always share with a lot of my friends. Just want this to appear on my blog to share. Sometimes people come into your life and you know right away that they were meant to be there... to serve some sort of purpose, teach you a lesson or help figure out who you are or who you want to become.You never know who these people may be, but when you lock eyes with them, you know that every moment that you are with them; they will affect your life in some profound way. And sometimes things happen to you at the time that may seem horrible, painful and unfair but in reflection you realise that without overcoming those obstacles, you would have never realised your potential, strength, will power or heart.Everything happens for a reason. Nothing happens by chance or by means of good luck. Illness, injury, love, lost moment of true greatness and sheer stupidity all occur to test the limits of your soul. Without these small tests, life would be like a smoothly paved, straight, flat road to nowhere, safe and comfortable, but dull and utterly pointless. The people you meet affect your life. The successes and downfalls that you experience can create who you are and what you become, and the bad experiences can be learned from. In fact, they are probably the most poignant and important ones. If someone hurts you, betrays you or breaks your heart, forgive them because they have helped you learn about trust and the importance of being cautious to whom you open your heart. If someone loves you, love them back unconditionally not only because they love you, but also because they are teaching you to love and open your heart and eyes to little things. Make every day count. Appreciate every moment and take from it everything that you possibly can, for you may never be able to experience it again. Talk to people who you have never talked to before, and actually listen. Let yourself fall in love, even if it doesn't seem right because you are too young or too far, just follow your heart. Surround yourself with those who make you smile, laugh and make you happy.Break free and set your sights high. Hold your head up because you have every right to. Tell yourself you are a great individual and believe in yourself, for if you don't believe in yourself, no one else will believe in you. Create your own life then LET GO and LIVE IT. Judge its success by whatyou've had to give up achieving it. The happiest miser on Earth is the man who saves up every friend he canmake." After dinner, we went to shop for our colleague's birthday present at Plaza Shopping Center when I saw this pair of earrings that I like it so much. So without hesitation, I bought it and wear it on the spot. 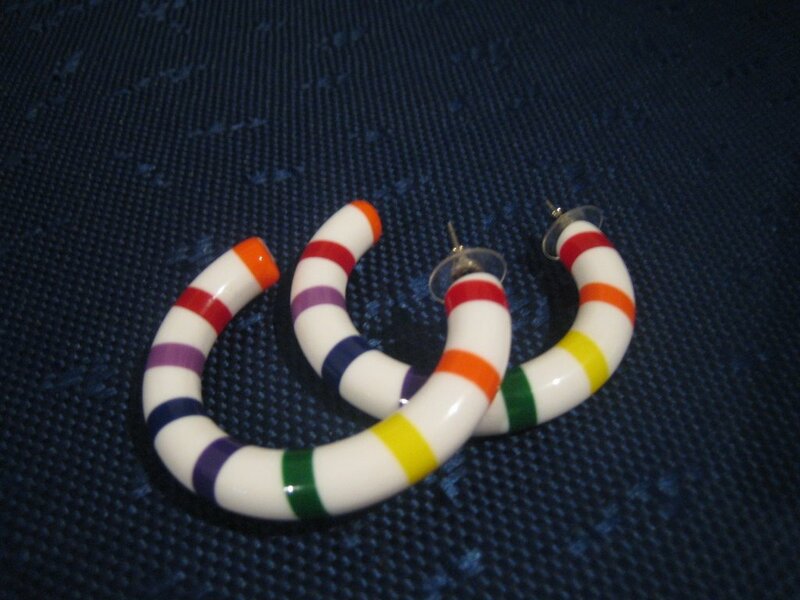 I don't use to buy this kind of earrings when in Singapore, guess there are some changes in me afterall. Well, my answer is “Yes”. 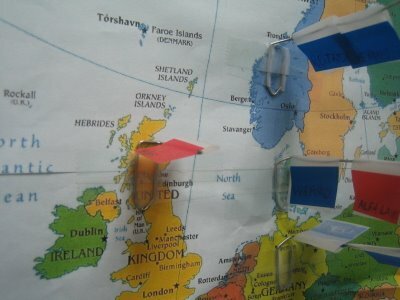 As I always mentioned to my close friends here, I never expect myself to be so seriously homesick before I arrive here. Then when I am getting more and more serious each day, even with the high technology of internet and telephone to connect them (and I didn’t really call my family to cry out that I miss them so much), I began to realize how fortunate I am to have them as my family and how lucky I am to have so many good friends. It is their love and caring that I am missing from, the good time that I wish I could have it here everyday. And now, I realized I had learn how to appreciate more in life, cause nothing it’s there for me to take for granted. That’s why, I never feel ashamed to admit that I am homesick because I misses all my love right opposite the other part of the world. I MISS YOU, my family and my friends. This time I must voice out cos I am sufferring from this again. 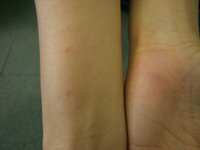 I never had so many mosquitoes bite in Singapore; guess this is one of my ‘first time’ experience in Rio. Believe me, they are trained like commander as mosquito coil, repellent or even the electric repellent doesn’t seem to work on them. Even sleeping in the air-con, it still can’t get rid of them out of my room. It has been raining a lot since yesterday (what a holiday). I took a photo of the street downstair from my apt which always flooded during heavy rain. "Do you know how to cook?" Almost every new secondee has been asked this question when they first arrived, I am not an exception too. My answer is "No". And this has been quite a hot topic after 3 girls from Singapore (came at different time) does not know how to cook. Why did I bring it out cause someone asked the same question again during our dinner yesterday. I know food is the basic needs in our life and knowing how to cook is seems to be basic knowledge, especially like every woman suppose to know. But in today modern world where they are so many changes, isn't our basic knowledge in life changes too??? The impression I got from the 'uncles' here are "Why you young singaporean ladies does not know how to cook? How do you survive when you get marry one day?" I am in doubt! Is it knowing how to cook one of the consideration when ones involved in getting married. I know it is always good to have one more skill in order to survive well in life, but come on, my way of growing up was totally different from my mum's generation (I believe a lot of the new generation are like this). I was never taught how to cook good and tasty food (except those 2yrs in secondary school which I had completely forgotten) and I never like to cook! Beside, isn't it convenient to have good and cheap food (at least sometime it's cheaper than cooking yourself)in Singapore. Even now I am in Brazil, it is still easy to get ready-to-eat food as we have so many variety from supermarket. - Will a woman become lousy wife if she does not know how to cook? If so, why can't man learn how to cook instead and become good husband? Don't forget, both husband and wife have to earn a living in today world. Well, till now I am still a lazy bum who have no interests in cooking. But who knows, I might change one day. So my friends, do you know how to cook? Alright, I must admit that being here and spending so many public holidays in Brazil , I still don't know know what are they celebrating for. (Expect for Christmas and New Year Day, hahaha) What a shame!! So I decided to make a reseach to find out what holiday is it today so that I can feel the astomphere too. In the Roman Catholic church, a day commemorating all the Christians believed to be in purgatory (Roman Catholic Church. A state in which the souls of those who have died in grace must expiate their sins). Celebrated on November 2, it was first established by Odilo (d. 1049), abbot of Cluny, in the 11th century, and it was widely celebrated by the 13th century. The date follows All Saints' Day, with the idea that remembering the saints in heaven should be followed by remembering the souls awaiting release from purgatory. Roman Catholic doctrine holds that the prayers of the faithful on earth will help cleanse these souls in order to prepare them for heaven. Everyone do have a soul and hopefully I am doing my own self 'cleanse' everyday in my life. To me, life is a learning curve. Good or bad, right or wrong, at least I know I am getting better every each day. Jimmy's birthday falls on 4th Nov but since we are not working on thurs and fri (long weekend holiday) so we have an early celebration for him today during lunch time. We had a long table at our usual lunch place, Taberna Restaurant and Zeon start counting the number of colleagues attended 1, 2, 3 ........ 21 and 22. Normally we pay ourselves even through to celebrate for one's birthday (this is one of the local culture in Brazil), but today, Jimmy gave us a good treat. Of course it is always nice to have a birthday cake and gift for the celebration, so we all shared to buy one T-shirt and birthday cake in the afternoon to extend the joy of his birthday. Right, I almost forget that before we went for the lunch, one of our colleagues asked Zeon and I how old is Jimmy. Hmmmm, age is just a number as long as we are young at heart, so I can tell you that Jimmy is forever at his 30s (fun-loving but mature at his heart). 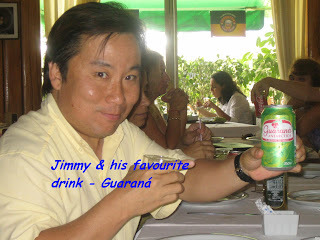 I believe Jimmy enjoyed a lot today, after all, it is always great to have so many people celebrating for our birthday. Talking about birthday, mine is coming soon (actually another 2 mths away) and I wish to have a great birthday here so I am planning to have a party at the only Hard Rock Cafe in Brazil. Still planning and hope this dream come true!